The town of Opotiki is situated on a harbour inlet formed by the junction of two rivers, the Waioeka and the Otara. Bounded by these rivers on three sides, the township of Opotiki which is now a ward of the Opotiki District Council, comprises 309 hectares. The county which extends from Ohiwa to Cape Runaway has a population of 9,201. Ideally and centrally situated in a magnificent and rapidly expanding holiday area, Opotiki straddles two main highways. Highway 35, the glorious 335 km Pacific Coast Highway scenic route commences here and continues to Gisborne. Highway 2 continues through Opotiki from the north, along the 150 km Waioeka Gorge Scenic Highway to Gisborne. From Opotiki it is 52 km to Whakatane via Taneatua and 40 km via Ohope. 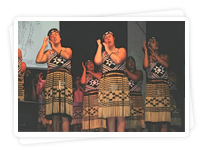 Opotiki is also only 150 km to Tauranga and 140 km to Rotorua - truly an ideal base for any holidaymaker. As a point of interest, the active volcano of White Island is 48 km off shore, seemingly serving as a “weather vane”, and perhaps as a “safety valve” for the thermal regions on the mainland. Opotiki’s climate is equal to the best in New Zealand. The town is sheltered from the cold southerlies that are experienced in many other places. It is an equable climate and the yearly hours of sunshine rate high in the New Zealand tables. Light frosts are experienced in winter but brief periods of heavy rainfall can occur at any time. Neither humidity nor smog create any problem in the area. 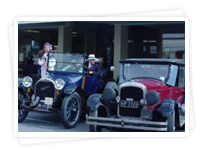 Opotiki is the northern gateway to Eastland, the East Cape/Gisborne area and is also on the Pacific Coast Highway and all its attractions are within easy distance. These include: thermal areas with delightful hot pools, many rivers and lakes well stocked with fish, bush country with hunting for deer, wild pigs, goats and opossum and, of course, the beautiful Bay of Plenty – the Sportsman’s Paradise – with deep-sea fishing, boating, surfcasting, surfing and swimming. Added to this is the peace and quiet which is so necessary for many city dwellers to relax their jangled nerves. If you are looking for city excitement – this is not the place for you!